If you want your child to excel academically, socially and personally, can studying the performing arts be a key to success? 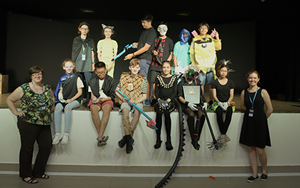 Laura Rea, Music Teacher and Southeast Asia Regional Lead for the Juilliard-Nord Anglia Performing Arts Programme at the British International School, Hanoi (BIS Hanoi) says studying the performing arts can help students gain key skills and qualities to prepare them for their future. I read a book by British author, speaker and education expert Sir Kenneth Robinson, and in it he asked: How do we prepare students for a future that does not yet exist? With rapid advancements in technology changing the way we live (and learn), we do not know what the future holds for our students, and what path they may take in pursuing a career. Gone are the days where an answer is either right or wrong, and situations are either black or white, or the answer is a yes or no. One could argue that the best way to prepare our students for their future is to pursue the performing arts. Why? 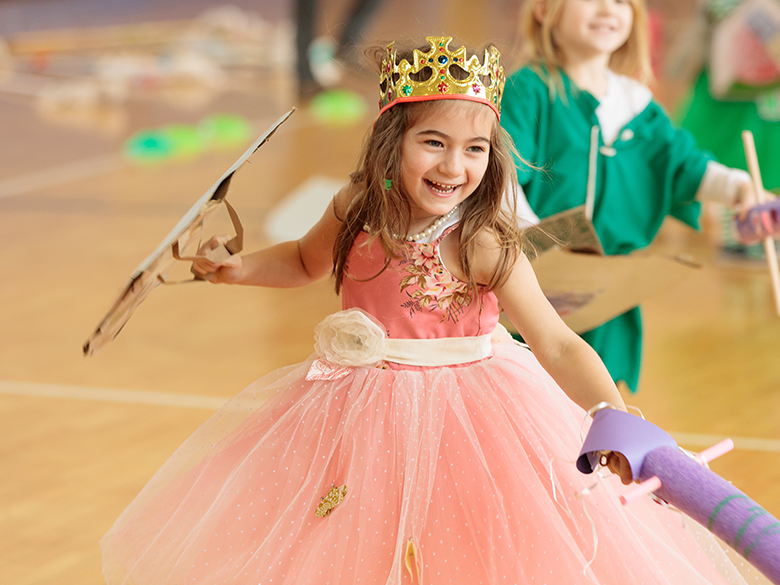 Studying the performing arts plays a significant role in developing a child’s creativity, igniting their imagination and providing environments where students can express themselves confidently. These are called transferrable skills. Students learn a variety of these transferrable skills through a performing arts education compared to other subjects, such as communication, team work, listening skills and leadership. Based in Vietnam, I have several students, who do not speak English as their first language, make big, positive changes by studying the performing arts. For example, since recruiting a Drama specialist at BIS Hanoi, we have seen an increase in students speaking the English language confidently and expand their English vocabulary. 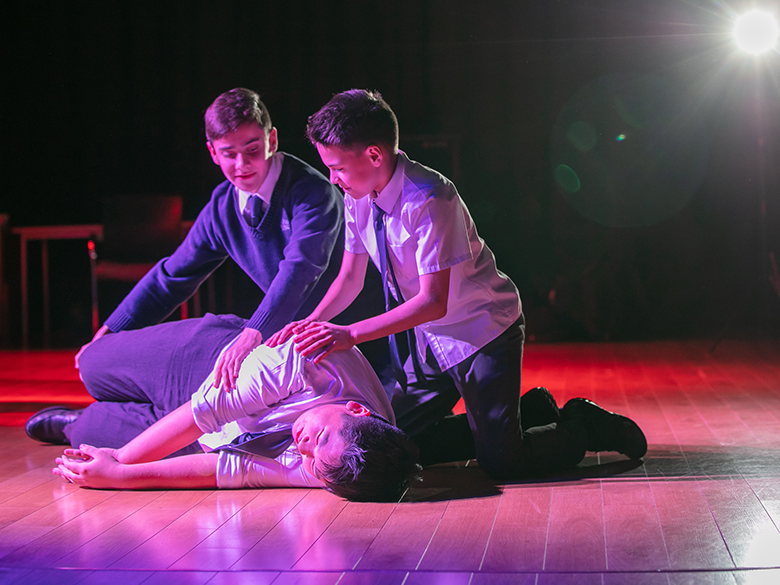 The vocal and physical exercises embedded within our Drama curriculum has helped decrease anxiety for our students who earlier lacked confidence in their English language abilities. 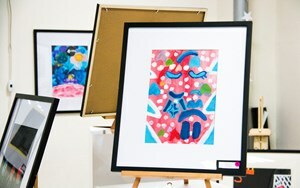 The exercises also created an opportunity for them to express themselves with ease. This highlights the powerful impact the performing arts can have in supporting a child to become a well-rounded individual. Advancements in neuroscience and neuroimaging technologies over the last 20 years and global research have given us a more complete understanding of how music can affect the brain. For example, it proves the positive impact a formal music education has, not only on a student’s physical capacity and cognitive development, but also how it can benefit their academic abilities across a range of other subjects, namely English and Maths. I observed these benefits while studying for my masters in Education. As part of a study I did at university, I selected a number of primary schools to assess if a formal music education had an impact upon student grades across their subjects. I discovered that every primary school that had a music teacher achieved higher grades on a consistent basis than those schools who did not. As the brain is a complex organ, meaning it is difficult to know the precise reason for this trend, the evidence I collected suggests a positive relationship between a music education and academic success. Therefore, I feel confident that the Juilliard-Nord Anglia Performing Arts Programme, co-designed by Juilliard and Nord Anglia Education curriculum and teaching specialists, will benefit our students and contribute to their academic, social and personal success. The Juilliard Creative Classroom, an extraordinary online collection of educational resources that have been designed to enhance and supplement performing arts curricula, has a range of activities and learning experiences that help students gain a deeper appreciation and understanding of music. Students as young as five are exposed to a wide range of genres, cultures and periods of history. Normally this type of focused learning is often seen much later, at an I/GCSE level, so exposure to this range of music at such a young age is truly inspiring. 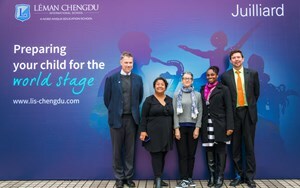 The collaboration between Nord Anglia Education and The Juilliard School is incredible as it has led to the design and development of a truly unique set of world-class curricula and opportunities within our schools. Working with a team of some of the best music, dance and drama educators has been exhilarating for both students and staff. Each school has started their performing arts journey at different times, especially as new schools join NAE. 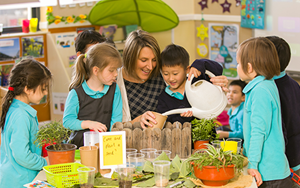 We’re also provided with fantastic professional development (PD) opportunities and a network of support from all over the globe through Nord Anglia University (NAU), an online platform that provides professional development for teachers and staff at NAE. At these events teachers are work together, reflect and brainstorm ideas to overcome challenges as well as celebrate each other’s success. 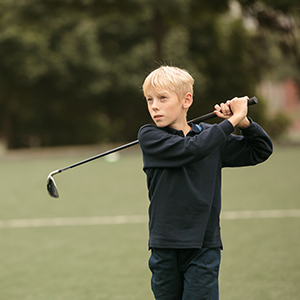 I thoroughly enjoy being a part of the Nord Anglia Education family; it is an organisation that values the importance of the performing arts and sees it as a core part of its education offering. The company’s position as a leading provider of premium international education adds to the growing momentum of organisations that understand there is a need for creativity in the classroom. The performing arts not only have creativity at the core of every lesson, but they push students to question themselves, question others, change the way they think, take risks, be curious, want more, give more and have fun in their learning. It is why I believe the performing arts are integral to a student’s future and I feel confident that our collaboration with The Juilliard School has produced a performing arts education we can be extremely proud of.